Gary Ling and eCommerce - Gary Ling, Digital Producer, Data Monetiser, Political Savant, Information Economist, Solution Seller, Business Strategist. of days contracted per month. Gary can also be integrated more fully into your organisation and be given operational responsibility. He will also consider fixed price work for projects with measureable outcomes and definitive timescales. Gary can add value to your organisation with his experience of working on eCommerce projects. Essence? eCommerce is buying and selling of product or service over digital systems such as the Internet and other computer networks. Education? A comprehensive understanding of how networks work and the digital topography behind the Internet. I read widely, attend lectures and courses and write on current trends in the digital space as both a thinker and practitioner. Experience? Launched one of the first commercial websites in the UK in 1995 as Marketing Director with TMI and have been at the heart of eCommerce developments for both online services and products ever since. Helped launch the first online store card in the UK for Zoom.co.uk. Launched, checkSURE, the most innovative credit checking site for small businesses in 2002; the worldwide COOL-ER eReader site in 2009 (which became the 3rd largest global eReader product by market share within a year of launch); successSURE selling online training solutions and checkOnomics, an industry report portal. Event? 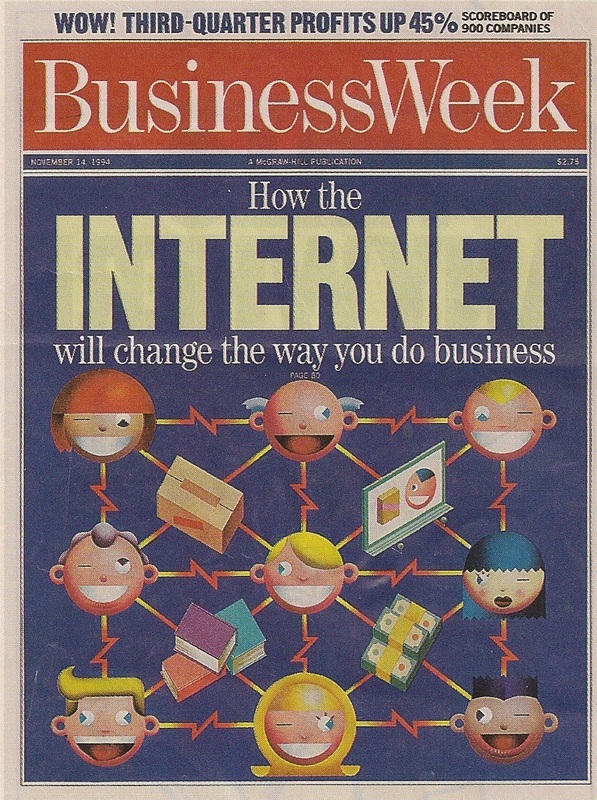 Travelling on a train from Coventry to Watford in the last week of November 1994, I pulled out my copy of Business Week and first read about the potential for commercial applications of something called the 'Internet'. Given my computer background I bought into its potential immediately and before the end of the year was hook up to a closed network (a pre-runner of the Internet) called CompuServe at 9600 baud! The TMI site was launched the following year.